1. When are you applying to business school? Round 1, Round 2, or Round 3? Determine the deadline for submitting your GMAT scores to your prospective programs, as well as your ideal date. For example, perhaps you plan to submit your applications in January. 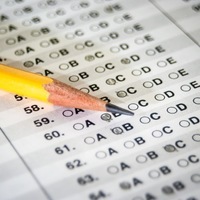 It is obviously best to sit for the GMAT before January, but how long before? The GMAT is just a single part of your application. You must also consider the time you will need to fill out the forms, complete your essays, and compile your transcripts and recommendations. Taking the GMAT in the summer or early fall will allow you to spend more time on the rest of your admissions package. You can also plan for a second GMAT test date in mid-fall if you would like to try to improve your score. These are a few daily activities that can improve your GMAT skills. 2. Where can you take the GMAT? GMAT testing centers are available in many places, but they are not necessarily located close to your home – and each may have a different schedule. Find the center that is convenient for you. The closest location may not be the one you are most comfortable at, so try to visit your intended center before your GMAT test date. You may also want to take a few GMAT practice tests to help you prepare. Familiarize yourself with the best travel route to and from this location to minimize unexpected obstacles the day of your exam. It is also a great idea to pinpoint the nearest restrooms and break-rooms in the center, as your breaks are quite brief! 3. What does your schedule look like? Ideally, you will complete your GMAT on a calm day. Your mind will be peaceful, and you will be thoroughly prepared. In reality, your selected GMAT test date may be one of the only times that an opening at your desired exam center overlaps with an opening in your busy calendar. With the knowledge that GMAT testing center schedules are not overly flexible, see what you can do with your own schedule to create the best experience possible on your exam day. Avoid times of high stress, like work deadlines, or times of high travel activity around holidays. Pick a date around events that will demand very little of your energy so that you can focus on performing well on the GMAT. These tips may help you reach your target GMAT score. 4. Are you ready to take the GMAT? Have you sat for a diagnostic practice exam recently? If your answer is “no,” set aside several hours to take a GMAT practice test. Do your results suggest that you are ready for the actual exam? Or would testing now result in an unsatisfactory score? Here are 5 steps to revitalize a struggling GMAT prep routine. Resources like GMAT tutors can help you address your weaknesses and further improve your strengths. Develop a study timeline, and then register for the GMAT accordingly. Remember, GMAT test dates fill quickly, so sign up as soon as you are able. Good luck! Villanova University, Current Undergrad, Biochemistry.